Home » Education & Career » Learning to Read » Parenting Issues » Testing & Diagnosis » Breaking a myth: Dyslexics can become readers! The mother’s fear is understandable. I also worried when my son’s struggles with grasping the basic elements of reading seemed both inexplicable and insurmountable. Dyslexia is a challenge. But challenges can be faced and overcome. The value of early screening is that it helps to define the challenge. If you can understand the cause of a problem, you can begin to work to solve that problem. 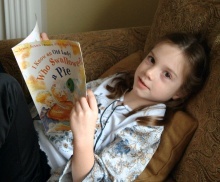 A parent who knows that their child is dyslexic by the end of first grade is fortunate. Parent and child will both be spared years of frustration in the early school years. This child never has to believe that she is any less intelligent than her peers. She and her mom have a word to assign to her difficulties. They know from the start that the path to literacy will be different, and they can begin the journey before the child has fallen significantly behind in school. I didn’t have to work hard to find these comments — at least half of the 78 comments posted to the article include encouraging and often impressive stories of success. Of course it is easier to see the big picture through hindsight than to be a parent faced with a present struggle. But it’s sad when anyone even hints at giving up a hope or a dream for a child who is only in primary school The dyslexic child follows a different developmental path. Each child is an individual to be cherished and encouraged. The gift of dyslexia is the gift of mastery. Thank you, Abigail, for bringing hope to many parents in this situation. I conduct educational assessments in New Zealand. I meet lots of talented dyslexics and their parents who are often unaware that there is a ‘good side’ to dyslexia. I always make sure that I show them a collage of pictures of famous dyslexics and tell them they are part of a very special group of people who think differently. Many parents have told me that their children responded very positively to their assessment. I know it wasn’t because of the actual tests I subjected them to (!) but because they now understand that there’s a reason why some things may have been harder for them, and it’s not because they were ‘dumb’. 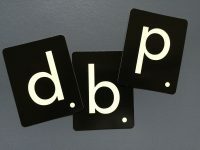 My daughter is dyslexia and have a time with her spelling word and reading .and get her D, and B, mix up. I just came across this site and immediately felt a sense of hope. 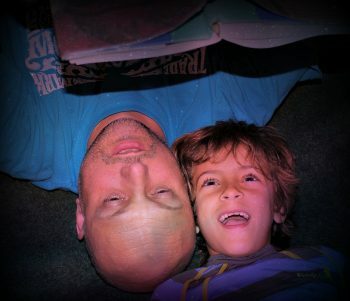 My son was diagnosed with dyslexia early; in the first grade. However, it has been an uphill struggle since then. I think being a single parent makes the stress a little more since you take on both roles and don’t have the emotional support from a spouse. I will be visiting this site often. Thanks for all the inspiring posts. tengo 20 años y fui diagnosticada con dislexia alos 9 nunca me trataron y mi confiansa es escasa por las vurlas de mis compañeros al leer, a un hoy en dia en la univercidad me da pena tratar de leer porque parece que un niño pequeño lo esta haciendo sin envargo yo amo la lectura leo todos los dias, mi tesoro son mis libros, y escrivo “gracias a Dios por el corrector de word por que sino seria un desastre” porque la dislexcia me enseño a sermas fuerte y luchar. algundia alcansare mis sueños y mi triunfo sera mas brillante que los demas porque fue mas dificil de alcansar. « If you’re so smart …….